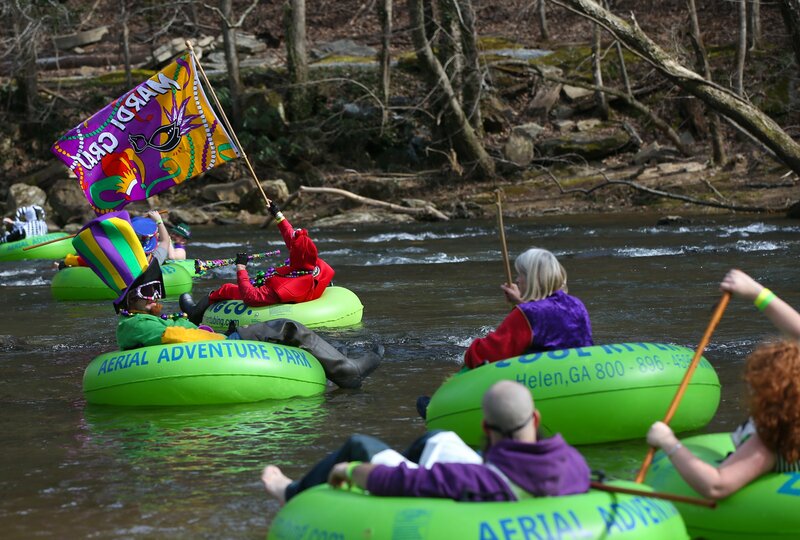 Participants in the Fasching River Parade and Party ride tubes down the Chattahoochee River in Helen, Georgia on Saturday, Feb. 9, 2019. 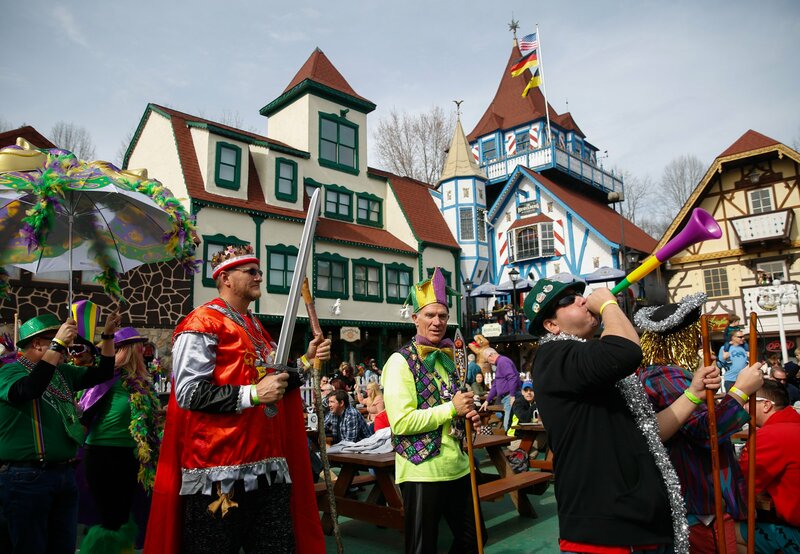 The Fasching celebration is a Bavarian version of Mardi Gras. 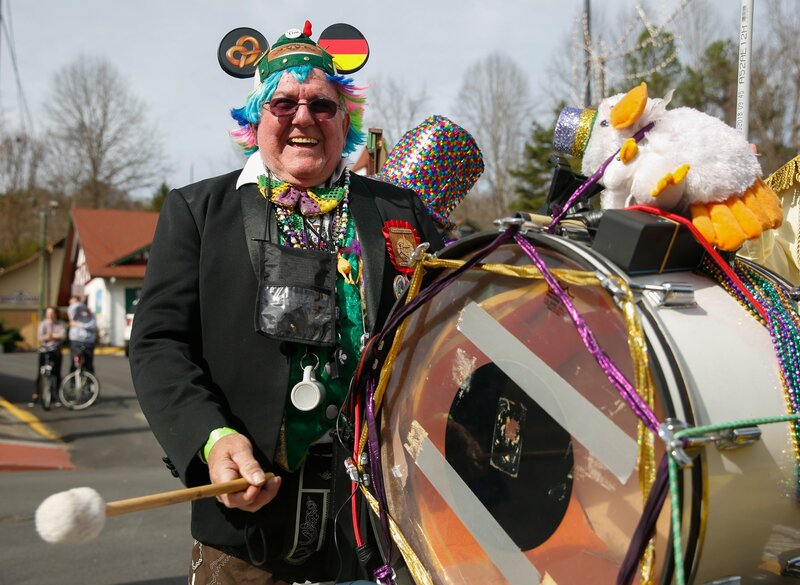 Walter Snyder leads the Fasching River Parade and Party in Helen, Georgia with the beat of his drum on Saturday, Feb. 9, 2019. The Fasching celebration is a Bavarian version of Mardi Gras. 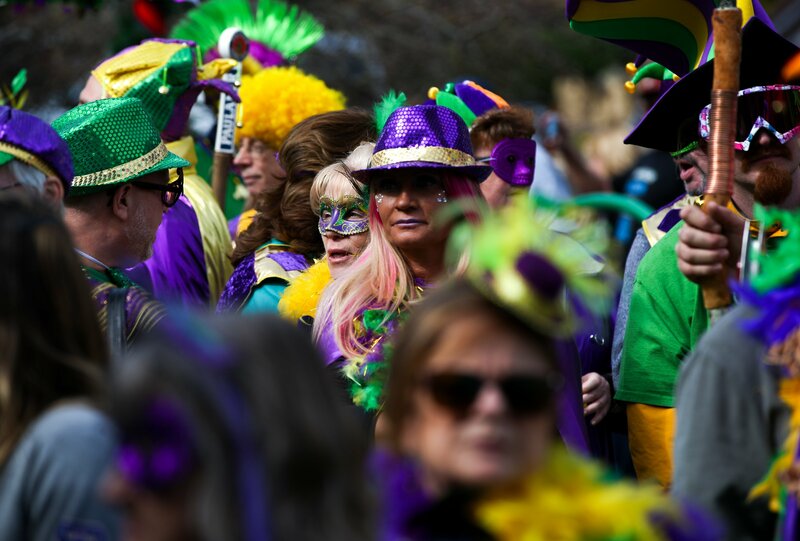 Participants in the parade make their way through town in Mardi Gras garb during the Fasching River Parade and Party in Helen, Georgia on Saturday, Feb. 9, 2019. The Fasching celebration is a Bavarian version of Mardi Gras. 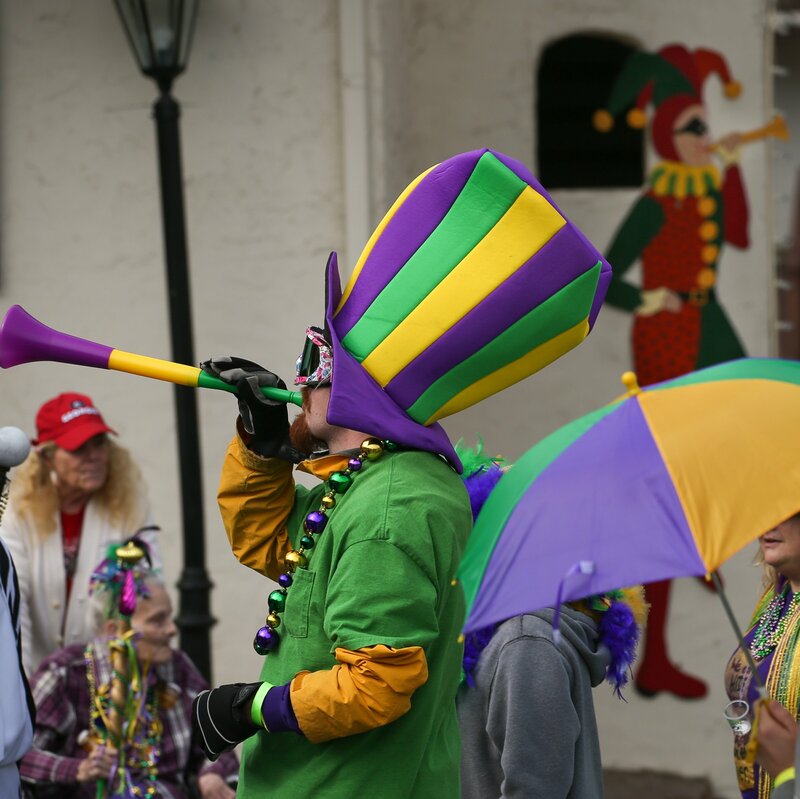 Jason Dubois, left, and Gene Walter, make noise while parading through Helen, Georgia during the Fasching River Parade and Party on Saturday, Feb. 9, 2019. The Fasching celebration is a Bavarian version of Mardi Gras. 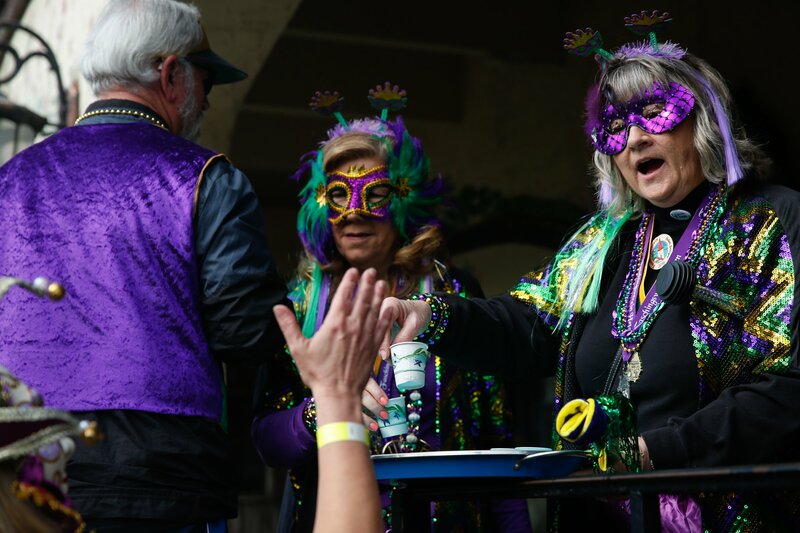 Kathy Coder, left, and Gayle Webb hand out shots of liquor to participants in the Fasching River Parade and Party in Helen, Georgia on Saturday, Feb. 9, 2019. 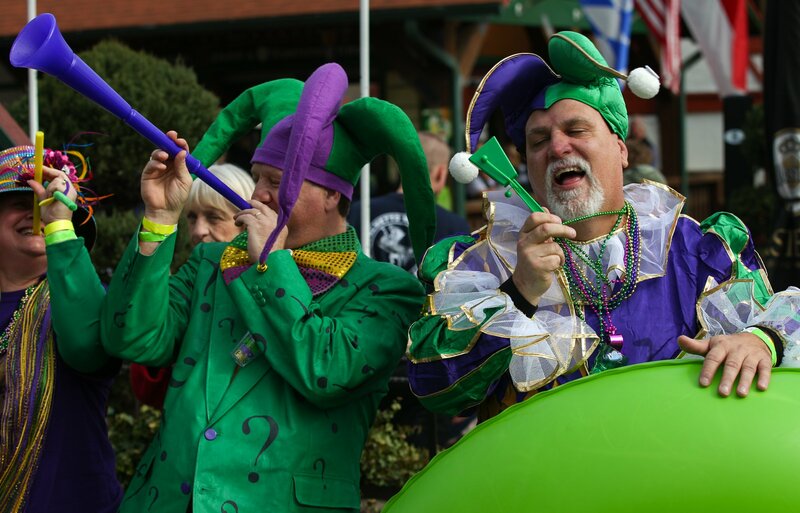 The Fasching celebration is a Bavarian version of Mardi Gras. 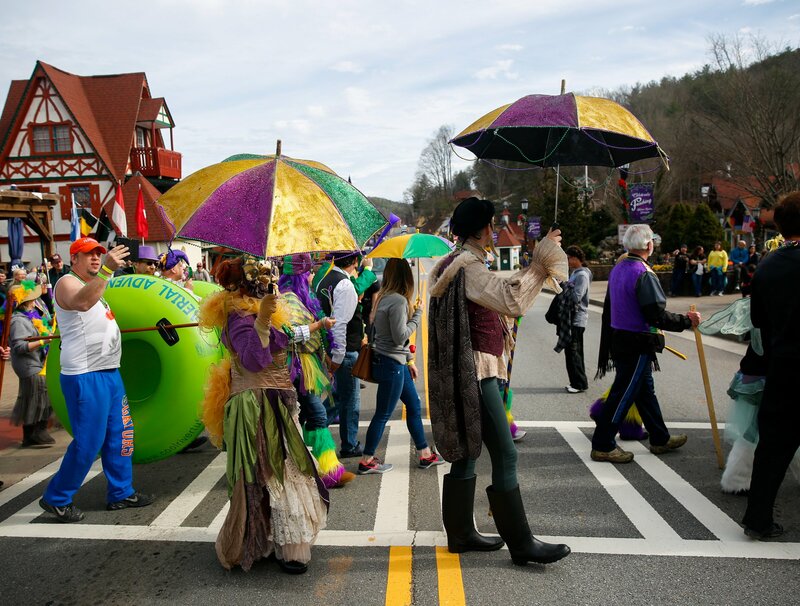 Participants in the Fasching River Parade and Party make their way through Helen, Georgia on Saturday, Feb. 9, 2019. The Fasching celebration is a Bavarian version of Mardi Gras. 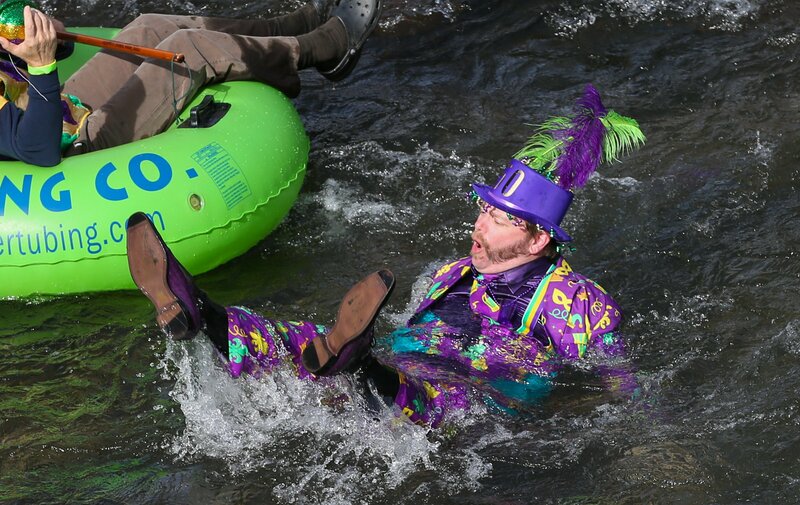 Ed Parmer falls out of his tube while riding down the Chattahoochee River during the Fasching River Parade and Party in Helen, Georgia on Saturday, Feb. 9, 2019. The Fasching celebration is a Bavarian version of Mardi Gras. 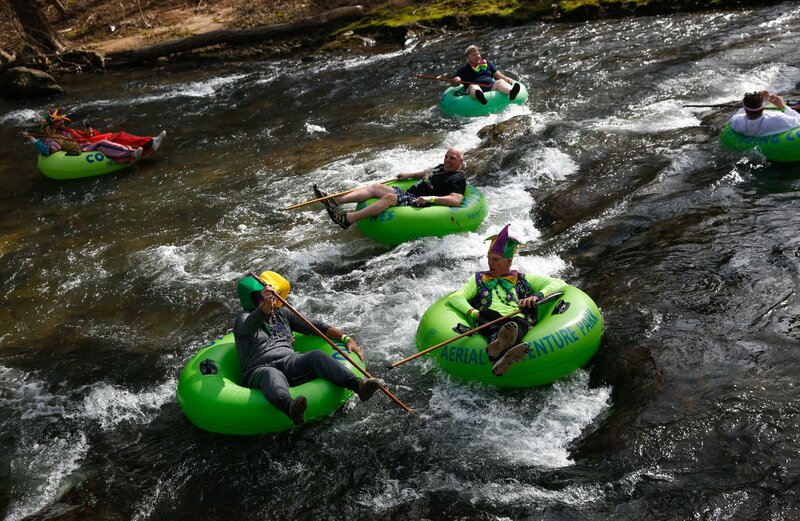 Participants ride tubes down the Chattahoochee River during the Fasching River Parade and Party in Helen, Georgia on Saturday, Feb. 9, 2019. The Fasching celebration is a Bavarian version of Mardi Gras. 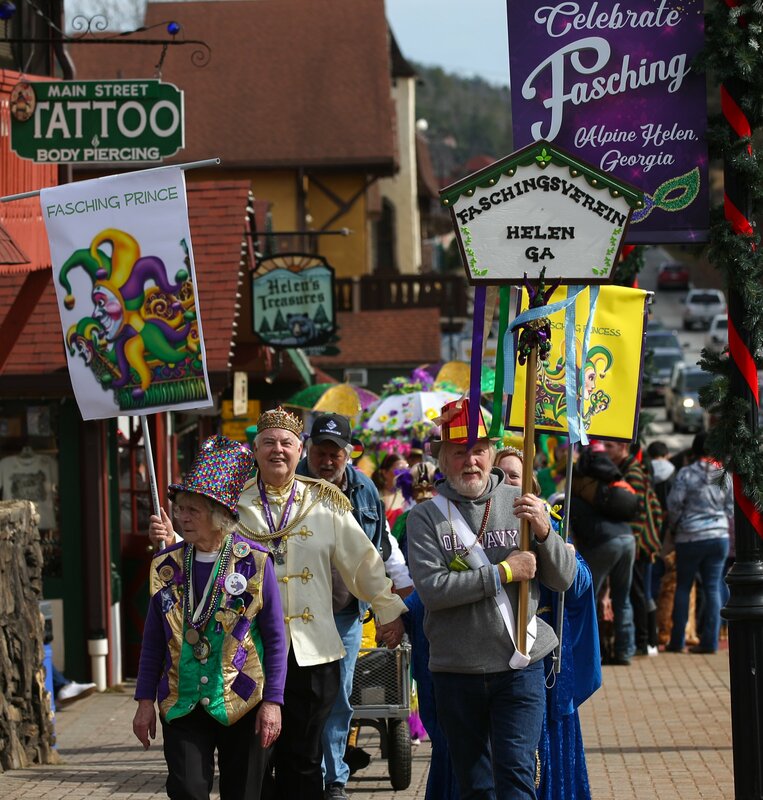 Participants in the Fasching River Parade and Party walk through Helen, Georgia on Saturday, Feb. 9, 2019. The Fasching celebration is a Bavarian version of Mardi Gras.